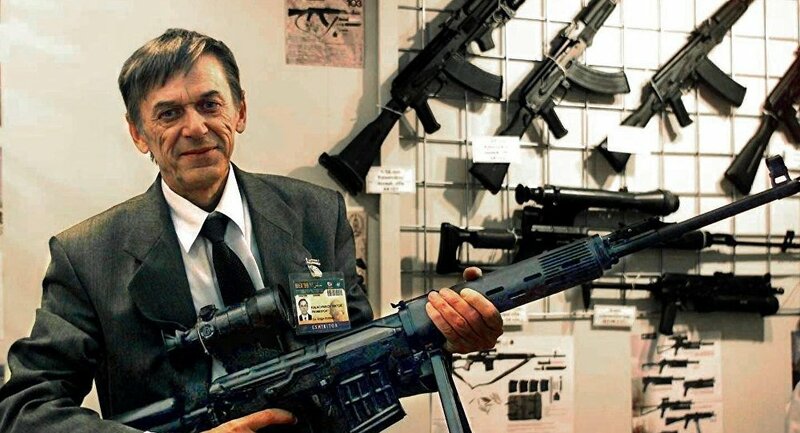 Kalashnikov Concern, the largest arms manufacturer in Russia, designed a new “adaptive” rifle for the Presidential Security Service and the Federal Security Service (FSB). The new rifle known as the AK-400 can be equipped with a scope of any type, a flashlight or a laser target marker. The rifle can also be adjusted depending on the shooter’s physiological parameters or the assigned task. In terms of operational accuracy, the AK-400 surpasses the tried-and-true AK-47 as well as the newest AK-12 rifle.”The AK-400 rifle was first presented at the end of last year, at a meeting organized by the Presidential Security Service. Currently, the service is considering the purchase of the new rifle. There are several versions of the rifle for different gauges, including the old 7.62 mm gauge and the modern 5.45 mm,” an anonymous defense source told the Russian newspaper Izvestia. According to the source, the AK-12 which was presented previously as part of the new combat gear Ratnik could not meet all requirements of the elite forces. “The AK-12 is a weapon for infantry forces, airborne troops and reconnaissance units. But Special Ops forces need a rifle with the same accuracy but it should be lighter and more compact,” the source said. First of all, the AK-400 is designed for the special ops unit of the Presidential Security Service and the FSB special units Alfa and Vympel.The new rifle has a length of 940 mm and a weight of three kilograms. It also has a new firing mode which allows firing three bullets at only one pull-off. Unlike the AK-12, the AK-400 is equipped with a telescoping stock and the so-called Picatinny rails, a bracket that provides a standard mounting platform for various types of sights. According to a source in Russian security services, with improved accuracy and usability, the new rifle would successfully replace the AK-47. The Kalashnikov Concern delivered Vikhr-1 guided missiles to the Russian Armed Forces under a state defense procurement plan. MOSCOW (Sputnik) — The Russian Armed Forces have received Vikhr-1 guided missiles worth about 13 billion rubles ($191 million) under the state defense procurement plan, Russian arms manufacturer Kalashnikov Concern said in a press release on Tuesday. “Kalashnikov has successfully completed the delivery of Vikhr-1 guided missiles to the Russian Defense Ministry within the framework of the state defense procurement plan. The total cost of the state contract is about 13 billion rubles,” the press release reads. Russia is currently implementing a large-scale rearmament program, announced in 2010, to modernize 70 percent of its military hardware by 2020. The total modernization program cost is estimated to reach about 20 trillion rubles.The Kalashnikov Concern was created in 2013 following the merger of two Soviet-era plants, Izhmash and Izhevsk Mechanical Plant, becoming Russia’s largest producer of rifles and other weaponry. The Vikhr-1 guided missile can be used against armored vehicles and low-speed aerial targets. Its maximum range of fire is 10 kilometers. The company sells civilian firearms and combat weapons in over 20 countries in Europe, Africa and Asia.